Carers and a friend are invited to join us for a day’s outing to the southern highlands Brigadoon Highland Festival. 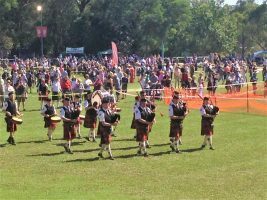 Experience all things Scottish such as: crafts; pipe bands; local musicians; Bundanoon stones, Caber Toss, Stone Put, or Hammer Throw competitions; dancing; food and the many more activities on offer at Brigadoon. The day will proceed ‘rain, hail or shine’. Weather appropriate clothing is recommended and comfortable walking shoes; a refillable water bottle (no bottle water is available in this area); a portable chair or picnic blanket (as limited seating is available); and money for refreshments which are at your own expense (or you can BYO). This event is outdoors and requires walking on uneven surfaces. You will be free to browse activities on your own. Registration is essential through the link above, as there are limited spaces. Please note, there is a maximum of two tickets per registered carer. Full cost of the trip is payable before attendance through the ticket selection below. Payment options include debit and credit cards. Should a carer be unable to pay online or afford this, please contact Carers ACT on 6296 9982 or email rsvp@carersact.org.au. As this activity is at a cost to Carers ACT, there will be no refunds should a carer/friend not be able to attend on the day.